Tron: Uprising (television) Animated series, premiering on Disney XD on June 7, 2012, with the story taking place between Tron and Tron: Legacy. Beck, a young program trained by Tron, becomes the unlikely leader of a revolution inside the computer world of The Grid. His mission is to free his home and friends from the reign of the villainous Clu and his henchman, General Tesler. Tron, the greatest warrior The Grid has ever known, not only teaches Beck the fighting skills he needs to challenge the brutal military occupation, but guides and mentors him as he grows from an impuslive youth to a courageous, powerful leader. Destined to become the new protector of the system, Beck adopts Tron’s persona and becomes the archenemy of Tesler and his oppressive forces. Voices include Elijah Wood (Beck), Bruce Boxleitner (Tron), Emmanuelle Chriqui (Paige), Mandy Moore (Mara), Paul Reubens (Pavel), Lance Henriksen (General Tesler). 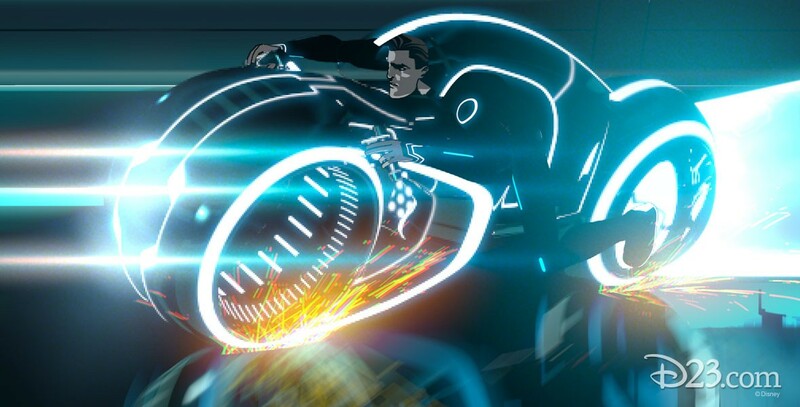 The series was preceded by a 30-minute prelude, Tron: Uprising—Beck’s Beginning, airing first on Disney Channel on May 18, 2012.